Update: RENTED! Welcome to our new tenants. Looking for office space in the heart of North West London? 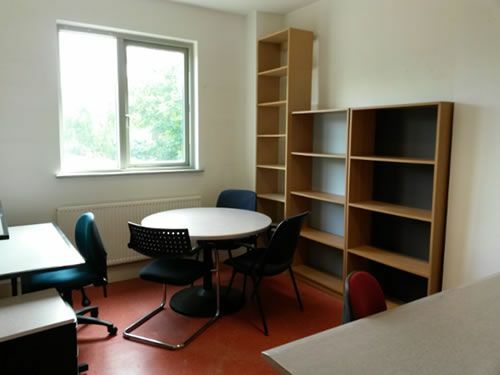 Hire our good sized private office with room for two desks plus meeting table space, located on the first floor of Kentish Town City Farm’s visitor centre. We offer all the facilities you’d expect of a modern office, with your broadband and comms infrastructure set up and ready to go, in a central location located minutes from Camden’s shops, restaurants and bars and close to transport links. Enquire now – call Simone on 020 7916 5421 or email simone@ktcityfarm.org.uk.